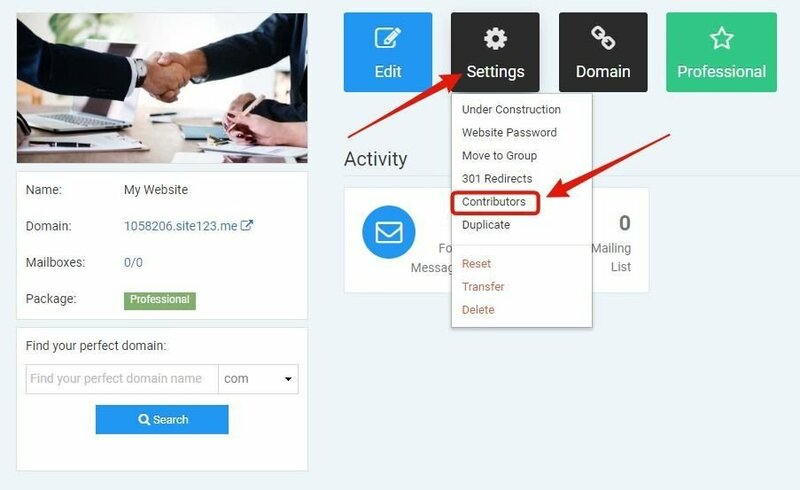 Now you can add a contributor to your website and the contributor will get administrator access to manage that one website. Administrator access means all privileges and access. To use this, find it from the site’s dashboard >> Settings >> Contributors. 오늘 US에서 1755가 넘는 SITE123 웹사이트가 개설되었습니다!